Discovering that you need hearing aids can be a scary moment, but it becomes far less problematic when the best hearing aids have been selected. With so many options on the market, though, there is no one right or wrong answer. Visiting the audiologist is the only way to find the perfect solution. 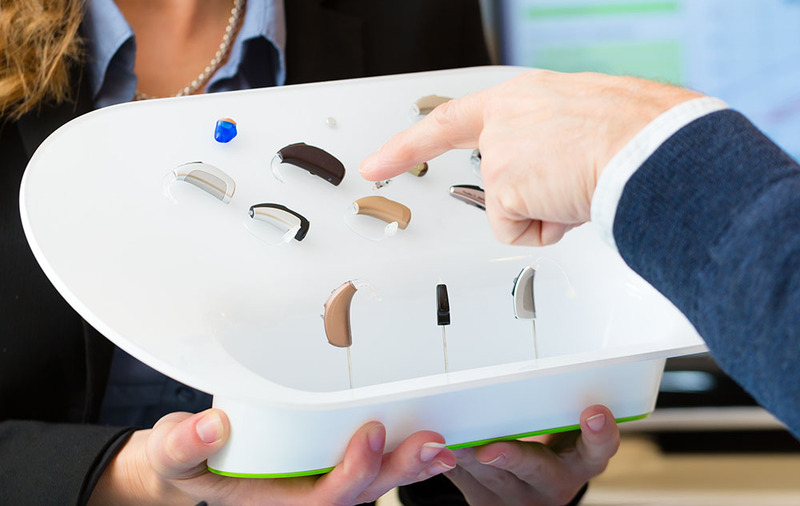 Nonetheless, it’s always worth entering the situation with a deeper understanding of the available hearing aid types. Here’s all you need to know about five of the best. Behind-the-ear (BTE) hearing aids are devices that hook over the back of the ear and have a casing that sits behind the ear. Sounds are transmitted from here to the custom earpiece, known as the mold. Although they are bigger than most, modern designs provide a more subtle appearance. Can pick up a greater level of sound, making them ideal for more profound cases. Easier to control for people with sight or dexterity issues. Receiver-in-canal (RIC) devices are similar to BTEs but are more inconspicuous as they use a tiny wire to connect the two parts of the device. Moreover, the receiver fits inside the ear, which aids the aesthetic design even further. The only issue is that you have to be extra careful regarding wax. Pick up a good range of sounds, making them ideal for profound loss as well as mild to moderate. Give the benefits of BTE without being so obvious. Custom made molds offer immense comfort during long-term wear. In-the-canal (ITC) hearing aid devices are custom made so that the mold fits comfortably in the ear. They do need to be cleaned regularly due to earwax but are a great option for mild to moderate hearing loss, especially when you want a less noticeable solution. They are small, but still big enough to include special features for maximum customization. Boast a fairly long battery life. The personalized fit provides a very comfortable fit for any user. Completely-in-canal (CIC) devices are very much like ITCs, but are even less visible as they are designed to sit entirely in the ear canal. Their small size means that the batteries do need replacing on a fairly frequent basis while they don’t have many extra features. Still, they are a very popular option indeed. They are less likely to encounter feedback from the wind. They are very easy to use and are perfect for mild to moderate hearing loss. They are the least visible of all hearing aid types. In-the-ear (ITE) hearing aids are available as either full moon or half moon designs. They both suit mild to severe hearing loss while the personalized design gives you long-term comfort. Despite being more visible than some hearing aid types, modern designs are far better than in previous years. Their battery life is particularly long while they’re also easy to handle. The features and ability to connect to HATS give you many options. Comfort is king with either half shell or full shell solutions.